Income tax is not a form of investment and is in fact an obligation of Manila Water and Maynilad. Yet, they charge it on consumers and even profit from it. 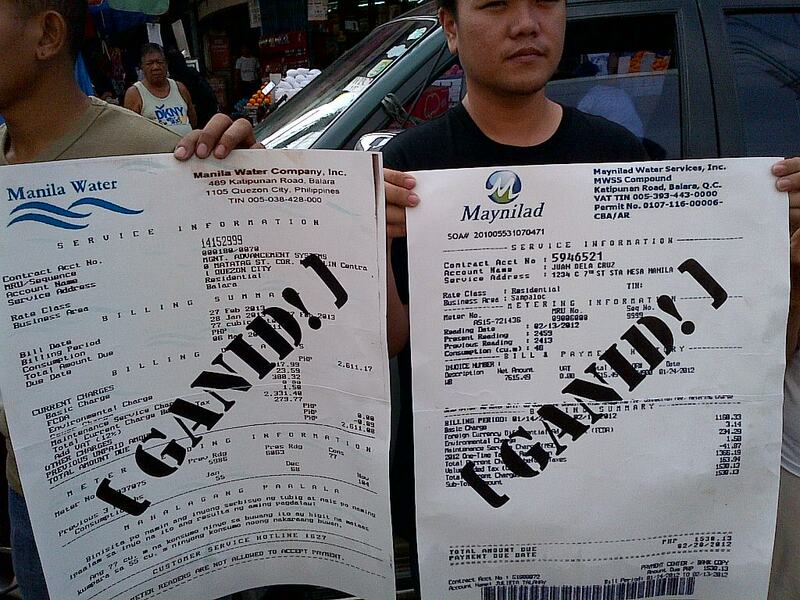 Manila Water and Maynilad are not only charging consumers the costs of unimplemented and future projects. They are also passing on the costs of their income tax to us, including those that they will have to pay for in the future. Worse, the water firms are even profiting from such practice because they are allowed to apply a certain rate of return on their operating expenses (Opex), which include income tax. 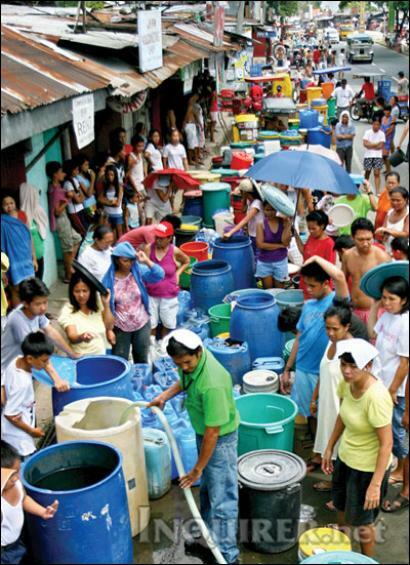 This unconscionable practice of Manila Water and Maynilad was disclosed by the Water for the People Network (WPN). According to the group, from 2008 to 2012, the amount of income tax being passed on to us by the concessionaires of the Metropolitan Waterworks and Sewerage System (MWSS) could reach P3.1 billion a year. We paid for it through our monthly water bills. Out of the P3.1 billion, Manila Water customers shouldered P1.5 billion; and Maynilad customers, P1.6 billion. Incidentally, Maynilad enjoyed an income tax holiday during the period. Thus, its collected income tax from consumers had been retained by the company as extra profits. Add to this the approved rate of return, called appropriate discount rate (ADR), of 9.3% enjoyed by Maynilad and Manila Water, which they can apply on their income tax (as part of Opex) and other expenses. In the ongoing rate rebasing (an exercise that adjusts water tariffs based on past and future expenses and a guaranteed ADR), Manila Water wants to pass on an estimated P76.96 billion in income tax from 2013 until the end of its Concession Agreement (CA) with the MWSS in 2037. Maynilad, meanwhile, wants to pass on an estimated P75.92 billion during the same period of its own CA. That’s a total of P152.87 billion worth of future income tax – or about P6.11 billion a year until 2037 – that they want us to shoulder starting today. They also want an ADR of 8.9% applied on these expenses. These amounts are included in their proposed rate hikes – P5.83 per cubic meter (cu. m.) for Manila Water and P8.58 for Maynilad. The WPN called this practice “parasitic”. Imagine, income tax is not even a form of investment and is in fact an obligation of the concessionaires. Yet, they charge it on us and even profit from it. Parasitic indeed! From 2008 to 2012, Manila Water has accumulated a net income of almost P20 billion and Maynilad, around P22 billion, due to rising water rates. Manila Water’s profits have been growing by about 18% annually and Maynilad, more than 40%, in the last five years. And they did not shell out a single centavo to pay for their income tax obligations. We, the consumers, paid it for them. And again, we will shoulder the tax on their future corporate income if their proposed hikes will be approved by the MWSS-Regulatory Office. While they amass billions of profits, the water concessionaires invest very little and assume practically no risk. Consumers pay for the impact of inflation on their operation. Consumers pay for the impact of foreign exchange losses on their foreign-denominated loans. Consumers pay for any event that will affect their income, from calamities to changes in our laws. Consumers pay for the cost of protecting the environment from possible hazards of the concessionaires’ operations. Consumers pay for their past (including unimplemented) and future capital expenditures (Capex). Consumers pay for their past and future Opex, including income tax. The concessionaires justify their action of passing on their income tax by arguing that they are not public utilities and that the Meralco ruling does not apply on them. In April 2003, the Supreme Court (SC) issued a ruling that prohibited the Manila Electric Co. (Meralco) from including income tax as a recoverable operating expense. But for Manila Water and Maynilad, they are not public utilities and are merely “agents” of the MWSS, which in the concessionaires’ distorted logic remains the public utility. It’s pretty obvious that such argument is garbage. When the MWSS was privatized in 1997, it turned over all its functions as a public utility to Manila Water and Maynilad – from operating and improving the water service system to charging and collecting tariffs from consumers. For the sake of argument, however, let us accept that MWSS is the public utility and Manila Water and Maynilad are just its agents. It therefore follows that as mere agents, the concessionaires derive their authority and functions from the MWSS. But by insisting that they are not covered by the SC ruling on income tax, which only supposedly covers the MWSS as the public utility, Manila Water and Maynilad have put themselves in a more privileged position than their supposed principal. A similar case can be raised on the issue of 12% limit on the return on rate base (RORB) for public utilities. 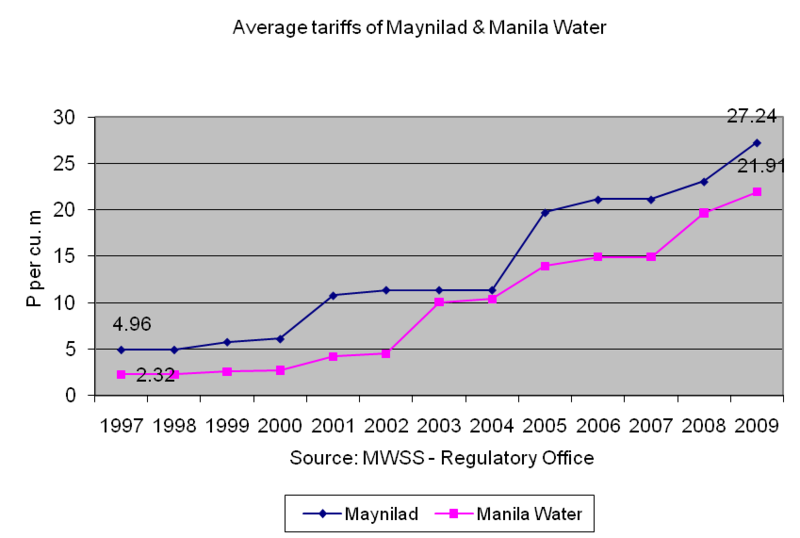 The rate base is computed by adding up the value of all the assets used in the operation of the public utility and from it, the allowed rate of return is calculated. A cap is imposed to prevent user fees from soaring too much because a public utility provides an essential service. The concessionaires claim that they are not covered by the cap, again because supposedly they are not public utilities. So, the 12% RORB applies to MWSS only as the public utility but not to its agents, again making the concessionaires more privileged than MWSS. As part of the Opex, it’s passed on to us. So we’re paying to enhance and promote the image of Maynilad? We’re paying so that they can have harmonious relations with LGUs and media? We’re paying for public consultations stage-managed by the concessionaires to justify their onerous rate hikes and where critical consumers are not allowed to participate? And what exactly are sponsorships, athletic, recreational and cultural celebrations and what do they have to do with the provision of water services? I bring this up after hearing the news that the private water concessionaires of the Metropolitan Waterworks and Sewerage System (MWSS) have been allowed again to jack up their rates next year. A report by the BusinessWorld said that by January 2013, the ordinary customers of Maynilad Water Services Inc. or those with a monthly consumption of 30 cubic meters will see their bill increase by ₱22.52. Meanwhile, the customers of Manila Water Co. Inc. with the same level of monthly consumption will bear a ₱6-spike in their water bill. What a way to greet the New Year for some 13.3 million people in Metro Manila and nearby provinces who get their water from Maynilad and Manila Water. Like in the case of the power sector, privatization and the numerous anomalous perks granted to corporations are behind the incessant rise in our water bills. The concession agreement between the MWSS and the private water concessionaires allows automatic adjustment to protect the profits the Manny V. Pangilinan group (Maynilad) and the Ayala group (Manila Water). In case you did not know, these big business groups with close ties to President Benigno Aquino III do not only control our cellphone networks, roads, electricity, hospitals and soon our LRT and MRT, but also our water. Anyway, what are some of these automatic adjustments? Take the case of the most recent water rate hike. Maynilad and Manila Water are increasing their basic charge to reflect the movement in the inflation rate as provided under their respective concession agreements with the MWSS. The said agency’s Regulatory Office allowed a 3.2% adjustment in the consumer price index (CPI) to be applied to the private water concessionaires’ current basic charge. What does this mean? It’s a double whammy. Inflation rises because the costs of basic goods and services like food and utilities have gone up. And then water rates will further rise because of higher inflation. Another is the foreign currency differential adjustment (FCDA), which covers fluctuations in the exchange rate and affect the foreign-denominated loans of the concessionaires. That’s what the water privatization contract stipulates. It doesn’t make sense to us poor consumers but it makes perfect sense for the Pangilinans and the Ayalas. Just look at their soaring profits to see why. In the first nine months of the 2012, Maynilad has amassed more than ₱5 billion in profits (13% higher than last year) while Manila Water has raked in ₱3.9 billion in profits (26% higher than last year). Meanwhile, the water distribution system in Cebu City which has the fourth most costly rates in Asia is being managed by the Metro Cebu Water District (MCWD). Though not yet privatized, MCWD like the rest of the other 860 water districts nationwide has also been under constant threat of privatization. This was the intention of Senator Edgardo Angara’s Senate Bill (SB) 2997. Fortunately, the proposal has been effectively derailed by the strong campaigning of the Water System Employees’ Response (WATER), a national federation of water district employees. But the bill will certainly be revived after the midterm elections. In the meantime, the water privateers continue to make inroads through other means. Earlier this year, the provincial government of Cebu has privatized its bulk water system through an agreement with guess who? Manila Water. Manny Pangilinan Manila Water has been on a buying spree of potable water systems around the country. Aside from the MWSS east zone and the Cebu bulk water project, his group it also controls the Boracay Island Water Co., the Laguna Water Co. (servicing the towns of Biñan, Cabuyao and Sta. Rosa) and the Clark Water Corp. in Pampanga. The bad news is that the buying spree of our potable water systems and even water resources itself by the Pangilinans, the Ayalas, etc. and the consequent soaring user fees and marginalization of the poor will not end any time soon. In fact, the direction is the further expansion and consolidation of wealth and power of these big business groups through more privatization under the public-private partnership (PPP) of Mr. Aquino. These are big-ticket items that will surely provide a bottomless well of profits for those who will bag them, which are most likely the same elite families and their foreign funders and partners that have been taking advantage of past privatization projects and Aquino’s current PPP program. For us, it simply means even further exploitation and marginalization as most of us will find it increasingly harder to afford our basic human right to water for domestic use, for our livelihood and decent living. President Benigno Aquino III will hold his first State of the Nation Address (SONA) on Monday, July 26 amid a water shortage engulfing a substantial portion of Metro Manila, with long queues for rationed water becoming a common sight. Meanwhile, about two weeks ago, around the same time when the Manila Electric Co. (Meralco) announced another rate hike, a brownout hit the President’s residence at Times Street in Quezon City which he blamed for arriving late for an appointment. Rotating brownouts have been just as frequent as power rate hikes in the past couple of months. “Wala nang kuryente, wala pang tubig, ang taas pa ng singil” is the common man’s complaint. The double whammy of water and power crises, of supply disruptions and skyrocketing rates is being felt not only in the metropolis but nationwide. Government officials and private utilities have pinned the blame squarely on force ma jeure like the prolonged dry spell and slow dam replenishment due to lack of enough rains. However, there are obvious policy issues that the latest episodes in water and power supply insecurity have brought to the fore. Considering their immediate and long-term effects on the people’s welfare and overall economic development, Aquino is expected by the public and policy makers to outline in his SONA how the administration plans to address these recurring problems. According to the latest update from the Department of Public Works and Highways (DPWH), 344 barangays (villages) with close to 3 million people in the service area of Maynilad Water Services Inc. are already affected by the water shortage. The number is almost half (49 percent) of the entire West Zone concession area of Maynilad, which together with its East Zone counterpart Manila Water Co. Inc., took over the water distribution function of the privatized Metropolitan Waterworks and Sewerage System (MWSS) in 1997. Maynilad chief operating officer Herbert Consunji disclosed that as of July 20, at least 18 percent (equivalent to some 450,000 people) of those affected by the water shortage in the West Zone can be considered as “severely affected”. This means that these areas have available water supply for only up to six hours at most or none at all. In an earlier advisory posted on its website, Maynilad said that among those severely affected are 22 barangays in Quezon City, 13 barangays in Caloocan City, 4 barangays in Malabon, 4 barangays in Valenzuela City, 2 barangays in Las Pinas City, and 1 barangay in Navotas. The Pangilinan-Consunji-controlled water utility has already deployed 28 tankers to ration water in these areas. Reports say that residents are forced to line up as early as 5 AM and wait for Maynilad’s tankers. In the service area of Manila Water, a smaller 21 percent is being affected by the water shortage, according to DPWH Secretary Rogelio Singson as quoted in a news report. The Ayala-led water firm in a separate report admitted that there is already a gradual reduction in water pressure in elevated within its concession area such as in parts of Pasig, Marikina, Cainta, Rodriguez, Taguig, and San Mateo in Rizal province. Manila Water may also have to resort to water rationing if the water level in Angat Dam – where they and Maynilad get 97 percent of their water supply for the domestic needs of Metro Manila and parts of Cavite and Rizal – will not improve in the coming months. Due to a depleted water level because of the El Niño phenomenon, the private water concessionaires said that their water allocation from Angat Dam has substantially declined. DPWH reported that at present, Maynilad is actually receiving 1,800 million liters per day from Angat Dam, down from its normal level of 2,400 million liters per day (a 33.3 percent reduction). Manila Water, on the other hand, has seen its allocation dwindle to 1,245 million liters per day from 1,600 million liters per day, or a 28.5 percent reduction. 158.2 meters above sea level (masl) as of July 21. A day before that, it dropped to 157.56 masl, lower than its historic low of 158.15 masl in September 1998 which was also an El Niño year. Authorities said that recent typhoons “Basyang” and “Caloy” did not substantially replenish Angat Dam, adding up a combined 27 centimeters only. The critical level of Angat Dam is pegged at 180 masl, which was breached in April during the height of the latest El Niño. Without heavy rains, the dam’s water is expected to further recede to 147 masl by September. At 120 masl, the dam could no longer provide water for Metro Manila’s domestic consumption. The lack of rains and depleting water level in the country’s major dams because of the El Niño have also been blamed for the power crisis – characterized by rotating brownouts and spikes in electricity rates – that has hit the country this year. In March, the power supply deficits reached record highs with Luzon experiencing a shortfall of 641 megawatts (MW) and Mindanao, 700 MW, according to the National Grid Corporation of the Philippines (NGCP). Meralco had to implement a 90-minute power supply disruption throughout the day because of the supposed deficiency in available electricity. In Mindanao, blackouts have lasted by up to 12 hours a day, a situation that began as early as February. The southern island heavily depends on hydro power for its electricity needs, with hydropower plants accounting for 53.1 percent of Mindanao’s generating capacity, according to data from the Mindanao Economic Development Council (MEDCO). But low water levels derailed the operation of these power plants. The 727-MW Agus and 255-MW Pulangi hydroelectric power plants, for instance, experienced an 80 and 90 percent reduction in capacity, respectively because of the prolonged drought. The water level in Lake Lanao, source for most of the hydropower plants in Mindanao, has breached its critical level of 699.15 meters in early March and dropped to 699.08 meters. In addition, reduced power supply due to depleted dams amid high electricity consumption because of the hot temperature brought about by El Niño has also pushed up power rates throughout the country. Meralco, for example, has increased its rates several times in the past six months, with the latest rate hike of 5.8 centavos per kilowatt-hour (kWh) announced in the first week of July, supposedly because of high generation charges at the Wholesale Electricity Spot Market (WESM). Overall, Meralco’s generation charge has already jumped by P1.84 per kWh between January and July. While the private companies and government agencies concerned have conveniently blamed natural phenomenon for the water and power crises, a deeper look will show that the conditions for the crises have been laid out and at the same time aggravated by wrong policies. Both the water and power sectors have been deeply privatized, a process that was set off by Aquino’s mother, the late President Corazon Aquino in the late 1980s, accelerated by the Ramos and Estrada administrations in the 1990s, then continued and intensified by former President and now Pampanga Representative Gloria Macapagal-Arroyo. Among the many promises made by the private water concessionaires and hyped by the then Ramos administration to justify the privatization of the MWSS was upgrading the decrepit water system infrastructure. Such upgrade intends to substantially reduce non-revenue water (NRW, or water lost due to leaks and pilferage) and help achieve universal and 24/7 water supply for an increasing number of households. In their original concession agreement with MWSS, the private water firms promised to provide universal access by 2001. But until today, less than 60 percent of 790,000 households in Maynilad’s service area have 24-hour water service while only 74 percent receive water at 7-pound per square inch (PSI) or stronger pressure. More than half (53 percent) of water allocated to Maynilad continues to get wasted because of leaks and pilferage. Meanwhile, Manila Water, claims 99 percent water supply coverage in its service area but will not say how big the portion is with individual and direct household connection and those serviced by private water suppliers or “middlemen”. These areas served by a third party private contractor are often poor communities and most vulnerable to water supply disruption. Amid water supply problems, Maynilad and Manila Water jacked up their rates tremendously, taking advantage of full-cost recovery mechanisms offered by privatization. Since MWSS was privatized, Maynilad’s basic charge has already soared by 449 percent and Manila Water, by 845 percent. The power crisis that the country has been facing is also more man-made than natural. Plant shutdowns and supposed fuel constraints have combined with the impact of depleted dams on hydropower generation to substantially constrict available capacity throughout the islands. The implementation of Republic Act (RA) 9136 or the Electric Power Industry Reform Act (Epira) of 2001, which facilitated the privatization of power generation and transmission as well as deregulated the setting of power rates, has not addressed the country’s energy security issues. Epira merely transferred the state monopoly on power to private companies, which has set the stage for various forms of possible abuses and manipulation. Cross-ownership, for instance, between distributors like Meralco and power producers made electricity rates more blurred than transparent. Take the case of the WESM, which Epira created to supposedly allow freer competition among industry players but in fact has become a venue for speculation and rigging of prices. Among the so-called independent power producers (IPPs) trading in the WESM is First Gen Power Corp. that runs two natural gas-fired power plants (1,000-MW Sta. Rita and 500-MW San Lorenzo) and two hydropower plants (100-MW Pantabangan and 12-MW Masiway). The Lopez family, which controls 13.4 percent of Meralco, owns First Gen which aside from the WESM transactions also supplies 35.7 percent of Meralco’s power requirements. Furthermore, another Meralco owner, San Miguel Energy Corp. (SMEC) which has a 34-percent stake in the utility giant, also operates the biggest power plants in the country like the 620-MW Limay Combined Cycle Power Plant, the 1,000-MW Sual Coal-Fired Power Plant, and the 1,200-MW Ilijan Combined Cycle Power Plant. During the height of the El Niño, SMEC shut down, along with other privately operated plants, one unit of its Sual plant (with a capacity of 540 MW) due to “coal supply problems”. Its Limay plant also went offline for about three weeks early this year for “inspection purposes”. The unscheduled outages in its power plants fueled talks that SMEC may have intentionally decommissioned the Sual and Limay to constrict power supply and jack up rates. After the SMEC plant shutdowns, First Gen followed suit with its own maintenance shutdown of its natural gas-fired Sta. 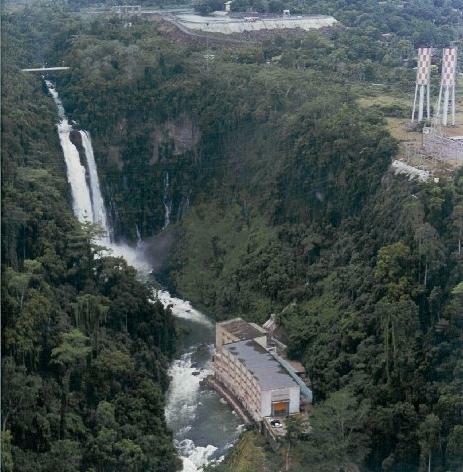 Rita and San Lorenzo power plants in mid-February to early March. The cost of generation has gone sky-high because of these plant shutdowns that artificially reduced available capacity. Meanwhile, power retailers like Meralco have been able to easily pass on the charges to unfortunate end-consumers. Under Epira, they are allowed to automatically adjust generation charges on a monthly basis through a cost recovery mechanism called Automatic Adjustment of Generation Rates (AGRA). 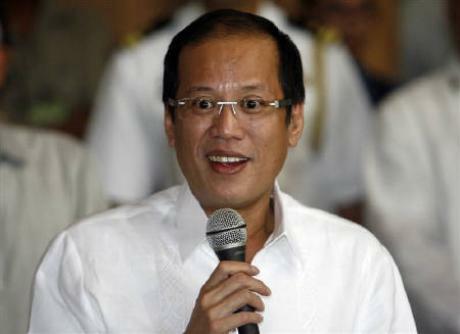 Is Noynoy up to the challenge? Despite the recurring problems caused by its flawed policies on water and power, the previous Arroyo administration has continued the relentless march towards the neoliberal restructuring of these sectors. In fact, among what can be considered a midnight deal, is the April 28 bidding of the Angat Dam which was won by a South Korean power company. If this deal will be completed, consumers fear of more water supply woes even as the country’s energy needs are not necessarily guaranteed. To be sure, President Aquino just inherited from previous administrations these problems besetting the country’s water and power security. The challenge, however, is will he overhaul the existing policy framework that has allowed the privatization and deregulation of the country’s utility sectors and created the mess we are in right now? He will have the chance to do this in his first SONA on Monday when he outlines his vision for the country in the next six years. People who have been abused long enough by private water and power utilities, who suffered endless brownouts and lack of water amid skyrocketing monthly bills, will certainly be interested to listen. The water shortage in Metro Manila has been conveniently blamed by the private water concessionaires and authorities on everything else but themselves. 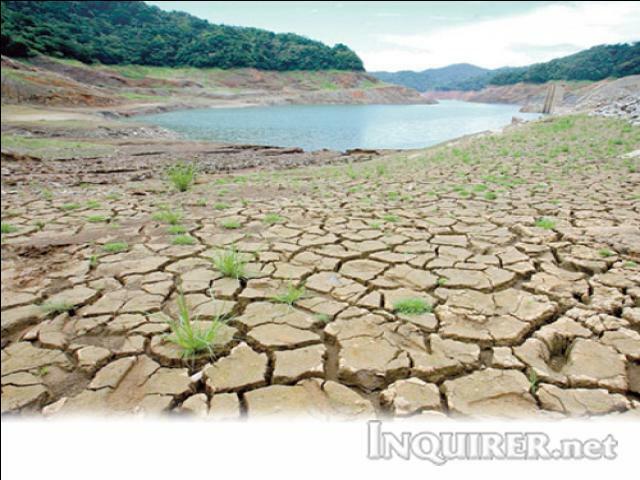 They blamed it on El Niño for drying up the Angat Dam. They blamed it on “Basyang” for not pouring enough rains on Norzagaray, Bulacan to replenish the dam’s water (read news report here). But how much of the current shortage can be blamed on natural phenomenon and how much should be attributed to policy errors like water privatization? True, the prolonged dry spell depleted water to precarious levels not only in Angat but in several major dams around the country. The impact on domestic water supply in Metro Manila, however, could have been tolerable or at least not as bad as it is now if not for structural issues related to the privatization of the Metropolitan Waterworks and Sewerage System (MWSS) almost 13 years ago. According to the latest report, Angat Dam’s water, which supplies 97 percent of the domestic water needs of some 14 million people in Metro Manila and parts of Cavite and Rizal, has already dropped to an alarming 157.59 meters as of Sunday (July 18). This is an all-time low, with the previous record pegged at 158.15 meters recorded during the 1998 El Niño episode. The critical level of Angat Dam is 180 meters. One of the private companies that took over the water distribution function of MWSS, Maynilad Water Services Inc., has already resorted to rationing water to some areas in its concession area. (Maynilad serves the West Zone of the old MWSS service area, while Manila Water Co. Inc. serves the East Zone) Maynilad said that its water allocation has declined by 30 percent, causing supply disruptions since last week. But many of these areas in Maynilad’s west zone have long been experiencing water supply problems even before the current El Niño. “Unfortunately, the reduction in our water allocation has forced us to ration water in elevated areas, in areas with a lot of water loss usually due to illegal connections, and in areas that need further service upgrade,” a Maynilad official said, describing the areas currently experiencing water supply disruption. Among the many promises made by the private water concessionaires and hyped by the then Ramos administration was upgrading the decrepit water system infrastructure. Such upgrade intends to substantially reduce non-revenue water (NRW, or water lost due to leaks and pilferage) and help achieve universal and 24/7 water supply for an increasing number of households. In their original concession agreement with MWSS, the private water firms promised to provide universal access by 2001. But until today, less than 60 percent of 790,000 households in Maynilad’s service area have 24-hour water service while only 74 percent receive water at 7-pound per square inch (PSI) or stronger pressure (read here). More than half (53 percent) of water allocated to Maynilad continues to get wasted because of leaks and pilferage (read here). Meanwhile, Manila Water, claims 99 percent water supply coverage in its service area but will not say how big the portion is with individual and direct household connection and those serviced by private water suppliers or “middlemen”. These areas served by a third party private contractor are often poor communities and most vulnerable to water supply disruption. Maynilad and Manila Water must be held accountable for failing to provide, after more than a decade of privatization, reliable and universal access to water for the people – a situation that has just been aggravated today by the El Niño. Certainly, there is a need to reverse water privatization, a neoliberal policy that has already been discredited worldwide. Public control must be asserted especially over water which is not a simple commodity or service that we can afford to leave in the hands of profit-seeking companies. The Aquino administration can start this by suspending the sale of the Angat Dam itself, which has been auctioned to a Korean power company last April. The further privatization of water through the sale of Angat Dam will mean worse water shortages in the coming months and years, with or without an El Niño. These issues must be included in the medium-term policy agenda of the new administration. But in the meantime, as a stopgap measure, Malacañang, the private concessionaires, MWSS, National Water Resources Board (NWRB) and other concerned government agencies must come out with a detailed plan on how they will ensure that water for domestic use will be available. Due focus must be given to vulnerable communities as they tend to be displaced under a privatized water system by well-off customers and commercial establishments even during times of abundant water supply. Authorities must also strictly monitor and regulate the wasteful use of water by golf courses, malls, hotels, private parks, car wash shops, and other commercial establishments. An 18-hole golf course, for instance, consumes an average of 2.3 million liters of water per day, according to the United Nations (UN), causing an enormous impact on water withdrawals, and competing with the basic water needs of as much as 115,000 people. "Water for the people now!" Unknown to most Filipinos, today (March 22) is the international observance of the World Water Day. This initiative grew out of the 1992 United Nations Conference on Environment and Development (UNCED) better known as the Earth Summit held in Rio Janeiro, Brazil. For this year, the theme is “Clean Water for a Healthy World”, with a campaign, said the UN, “to raise the profile of water quality at the political level so that water quality considerations are made alongside those of water quantity”. 2.6 billion people or 39 per cent of the world’s population live without access to improved sanitation. The vast majority live in Asia and sub-Saharan Africa. In the developed regions almost the entire population (99 per cent) used improved facilities as compared to 52 per cent in developing regions. At current rates of progress the world will miss the MDG sanitation target by almost 1 billion people, which claims to: “halve, by 2015 the proportion of people without sustainable access to safe drinking water and basic sanitation,” by 13 per cent. And the MDGs are not the end of the sanitation challenge. Even if the target is met some 1.7 billion people will still not have access to improved sanitation facilities. Rural/urban disparities are particularly apparent in sub-Saharan Africa, and the Caribbean, Southern Asia and Oceania where improved sanitation coverage is highest among the urban population despite the vast majority living in rural areas. 751 million people share their sanitation facilities with other households or only use public facilities. Such appalling global reality is reflected in the Philippines where the poor have been increasingly deprived of access to water for basic domestic use due to neoliberal policies such as privatization of water services and resources. The situation continues to deteriorate today due to the El Niño that has further limited water supply available for the people, especially the poor. 17.1 percent of all families in the country do not have access to safe drinking water and are forced to get water from unsafe sources such as unprotected well (5.7 percent); developed spring (4.8 percent); undeveloped spring (1.9 percent); river, stream, pond, lake or dam (1.1 percent); rainwater (0.4 percent); tanker truck or peddler (2.3 percent); and other sources (0.8 percent). Access to water is expectedly lower for poor families as the same NSO survey show that 30 percent of the poorest 30 percent of Filipino families do not have access to safe water supply. 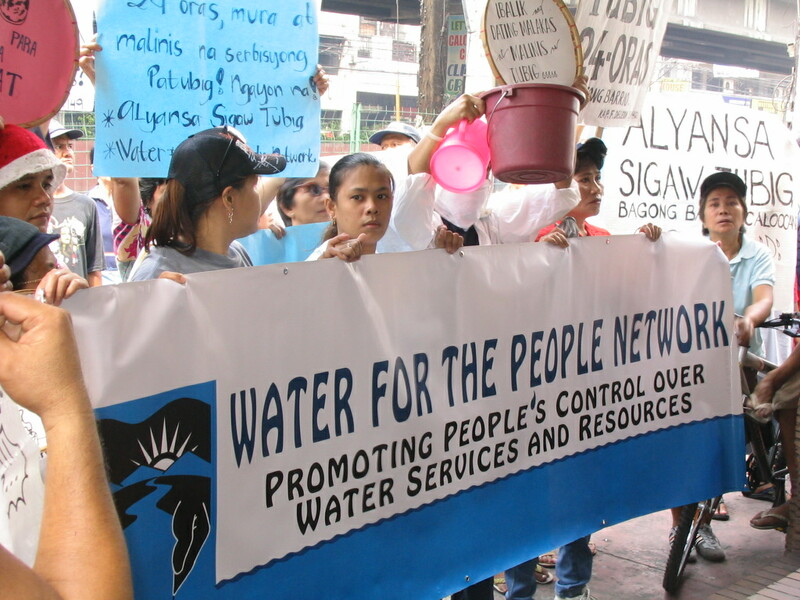 The advocacy group Water for the People Network (WPN) intends to draw public attention to this situation of lack of access to water for basic domestic use and for people’s livelihood amid the El Niño and continuing privatization of the country’s water resources. Tomorrow, March 23, the WPN will hold a roundtable discussion on Angat Dam’s privatization together with the Commission on Human Rights (CHR) and other stakeholders including farmers from Bulacan, consumers as well as water agencies including the Metropolitan Waterworks and Sewerage System (MWSS). More on the Angat Dam privatization and the WPN’s roundtable later.